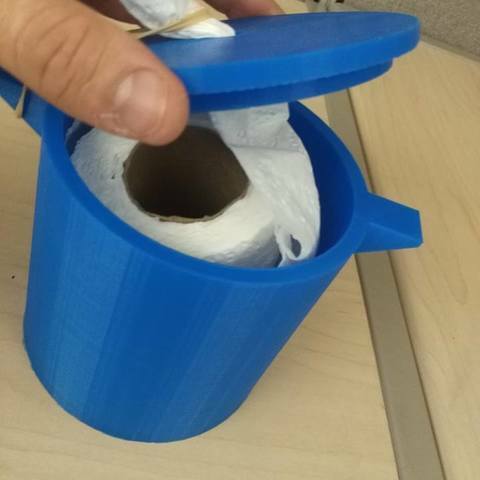 This tissue jar is able to take a toilet paper and dispense it as tissues. This will save you lots of money. It's designed to fit some of the biggest toilet paper rolls, so it shouldn't matter what brand/ size you use. 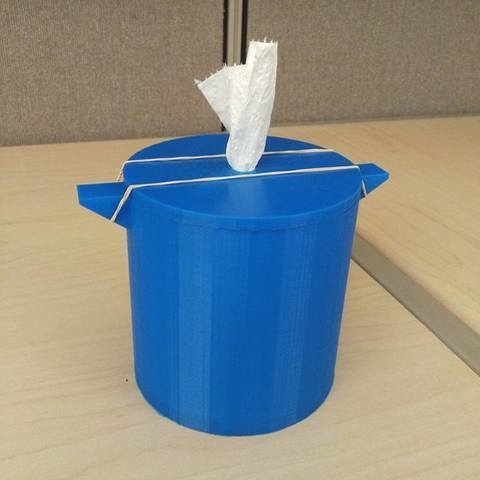 The lid is held on with a rubber band. You can print this without any support. That being said I printed the lid top up and used support to get the desired print finish on top. I had to use supports in this case. It's better to take the tube out and use the toilet paper from the middle.